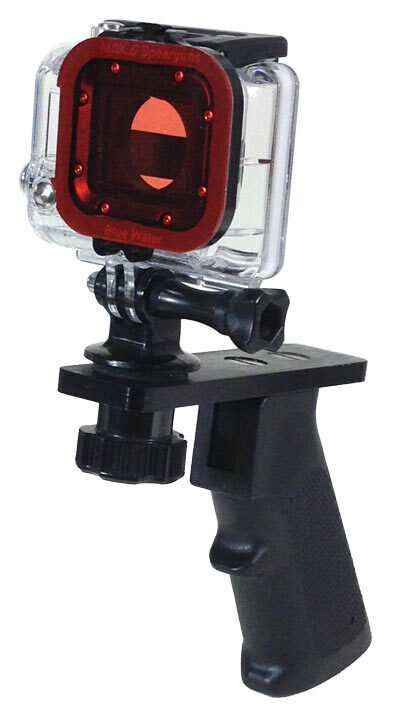 Get professional results above and under water - Our filters for your GoPro camera will give you professional quality images when filming underwater and are easy to install and easy to remove, above or below water. 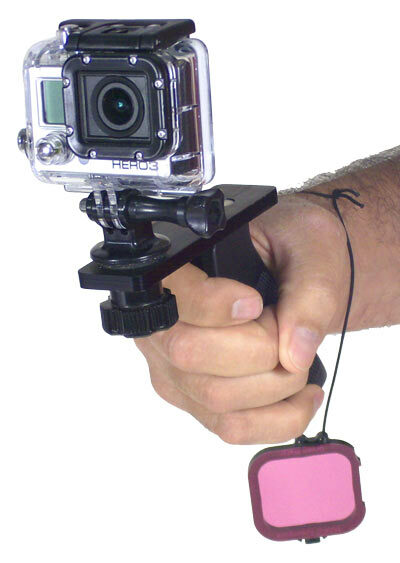 And the lanyard attachment point ensures you'll never loose your lens! 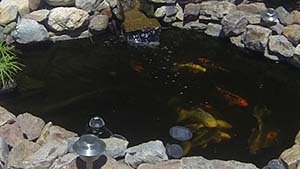 We offer a Color Correcting Filter in both a 'reddish' color (for color correcting in blue ocean water conditions), and we also offer it in a 'magenta' color (for green water/fresh water conditions). 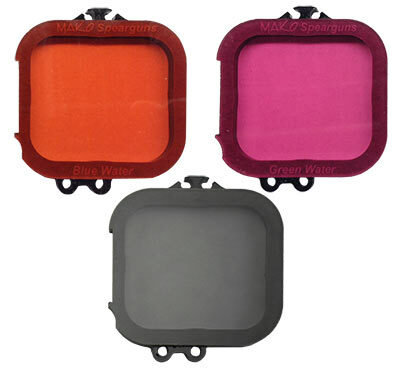 Both of the Color Correcting Filters are cut from optical grade acrylic material that has been treated with an abrasion resistant coating on both sides of the lens, protecting your lens dive after dive after dive. Additionally our Glare Reducing Polarizing Filter will improve almost all your 'above water' video and photos by minimizing glare - on the ski slope or out on the water are two of the most common applications where glare becomes highly objectionable, and you'll also find this filter will add color saturation to foliage, add definition to clouds, and even deepen the blues of the sky and minimize haze. 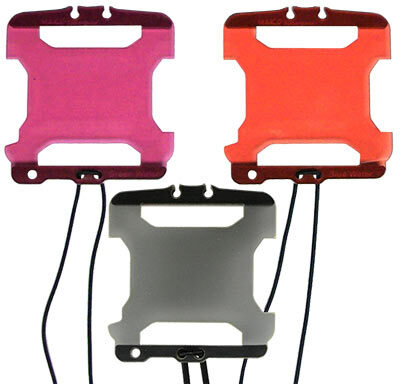 The filters can easily be put on or taken off under water and the lanyard prevents the lens from getting lost. The lenses won't obstruct your GoPro LCD display and of course they do not create any vignetting! 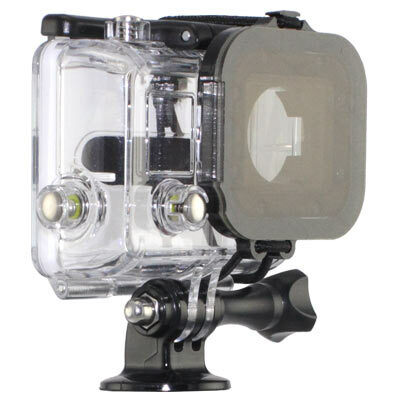 We offer the filters in four attachment versions - including the HERO5, HERO4 & 3+, one for the HERO3 housing and another for the HERO2 Dive Housing - this is due to the different physical lens designs of these housings. All filters are easily removed and have a hole for an attachment lanyard so you can take it off underwater and not worry about losing it. Water absorbs light selectively with depth. This means that not only does the intensity (brightness) of light become reduced at depth, but the composition of the light changes with depth as well. Light with the longest wavelengths is absorbed first (red, then orange and later, yellow). That is why very deep clear water appears dark blue (since all the other colors have been absorbed). The filter functions by “bringing back” the missing colors as you dive deeper. 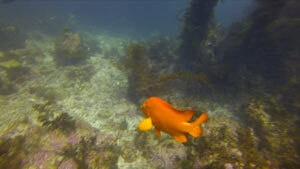 For example, in blue water, the reddish-orange filter accentuates the diminished red and orange colors at depth. The filter will reduce the bluish tint seen on video or photos taken without artificial light at depth. Our magenta filter for green water works the same way, adding back the colors that are missing at depth, balancing the green tint we see so often in these conditions. The end result is that our filters will make your video images more colorful, more vibrant and appear to have a more natural color balance. If used at the surface, the filter will add a reddish tone that may not be desirable. It can be easily removed from the housing. Whether in the boat, on the ski slope, or shooting with strong sun angles, our Glare Reducing Polarizing Filter for your GoPro will give you professional quality images and it's easy to install and easy to remove. And the lanyard attachment point ensures you'll never loose your filter! The Glare Reducing Polarizing Filter easily snaps over your HERO housing lens, and can easily be removed for those indoor or low light scenes. And our filter work with absolutely no vignetting in all shooting modes, unlike other filters! What is a Polarizing Filter? Without getting too technical, light is reflected off nearly every surface in your scene before it enters your camera. 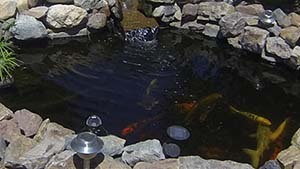 A linear polarizing filter removes most of the reflected light and passes it to the camera sensor from a single direction, minimizing the glare and haze. What's the difference between a Circular Polarizing Filter and a Linear Polarizing filter? 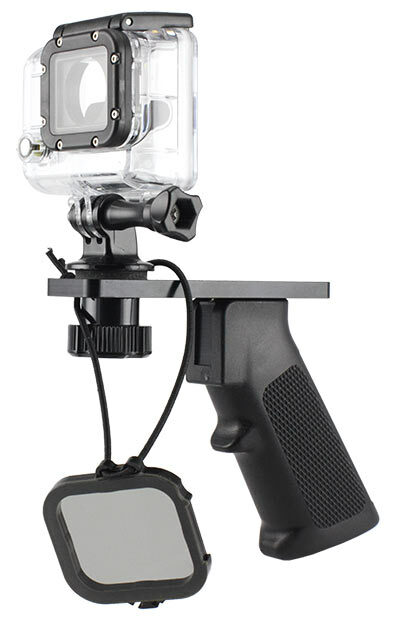 A linear Polarizing Filter is the most common type of polarizing filter available for a GoPro HERO camera today. It removes glare, haze, and increases saturation well. However, most cameras today use some form of beam splitting technology sending some light coming through the lens into the camera metering functions. 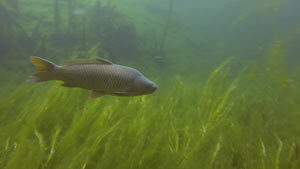 Adding a linear polarizer causes real problems - most common issues are a darkened video or photo. The solution is a Circular Polarizing Filter! Our Circular Polarizing Filter is a combination of two filters - a linear filter to remove the glare and haze, and then a second filter called a 'quarter ware retarder'. This second filter randomizes the light before it hits the cameras beam splitter and solves the 'dark image' problem. 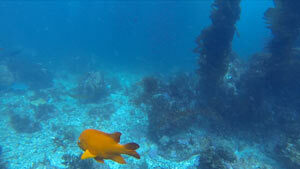 You should always use a Circular Polarizing filter on your GoPro camera! How can I tell if I have a Linear or Circular Polarizing Filter? Here's a quick test: Hold your filter in front of a mirror and look through the filter (at the reflection of the filter in the mirror). A linear filter will appear gray. Flip it over (so the side that was facing the mirror now faces you) and it will still appear gray. A circular filter will appear gray in one direction but when you flip it over it becomes black. When should you use a Circular Polarizing Filter? Our Glare Reducing Polarizing Filter will improve almost all your outdoor video and photos - on the ski slope or out on the water are two of the most common applications where glare becomes highly objectionable, and you'll also find the filter will add color saturation to foliage, add definition to clouds, and even deepen the blues of the sky and minimize haze. When should you NOT use a Circular Polarizing Filter? Indoor shots, night shots, or other low light situations are uses where you want to remove the polarizing filter. Have a GoPro Dive Housing? We've got you covered there too! 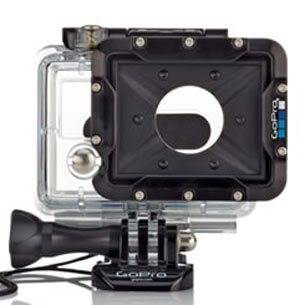 We also offer our filter in a version to fit the GoPro HERO and HERO2 Dive Housing. The Dive Housing is a bit of a retrofit of the original housing from GoPro - it's not the same as the HERO3 housing and so our filter is a little different. It won't block the LCD like some filters and it still comes with a lanyard to ensure it stays on in any condition. 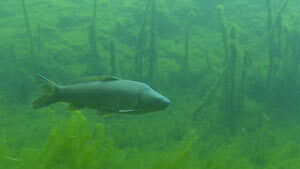 It's held on to the Dive lens a little different, but accomplishes the exact same job as the HERO3 filter. Simply select which housing you have in the drop down menu at the top of the page and we'll send the correct filter out to you. Not sure which GoPro housing you have? 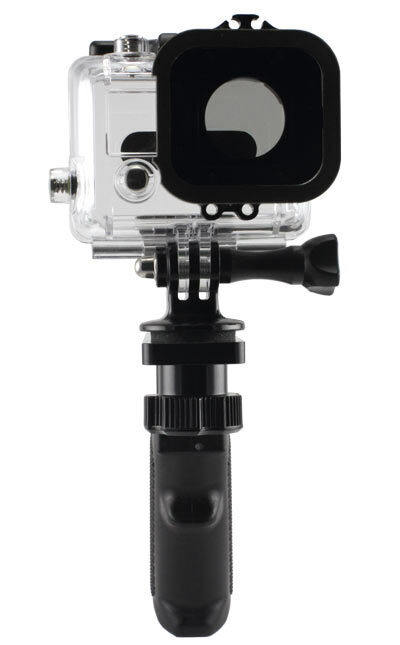 The easiest way to tell the GoPro housings apart is the HERO3 housing has 8 silver screws around the outside edge of the lens, while the HERO2 Dive housing has 10 silver screws. The HERO4 & 3+ have no visible screws around the lens. 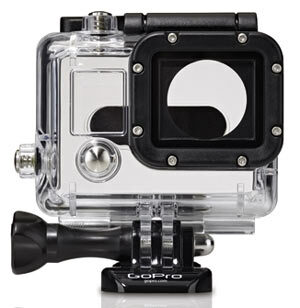 If your GoPro housing is an older GoPro HD or original GoPro HERO housings, our filters will not fit. 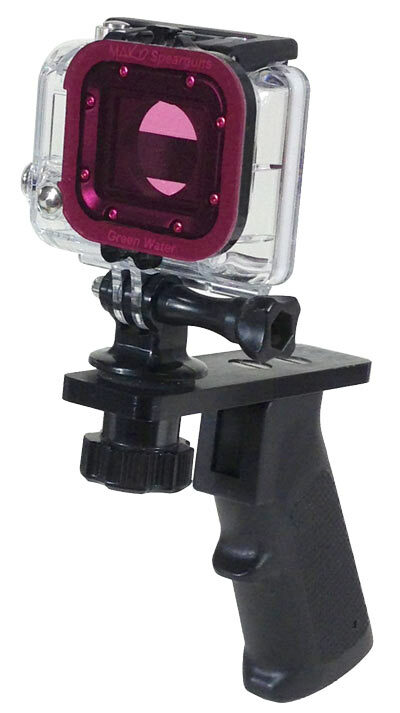 *Designed for use with GOPRO® products. 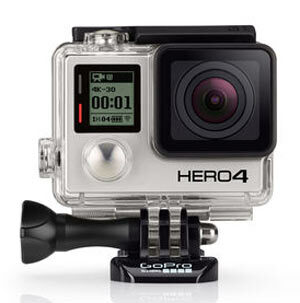 GOPRO® is a registered trademarks of Woodman Labs, Inc. in the United States and other countries. Two GoPro HERO 3's mounted on same tray - one recording with the Red Filter, the other without a filter. Made the pics come out red. Work great and stay in place.